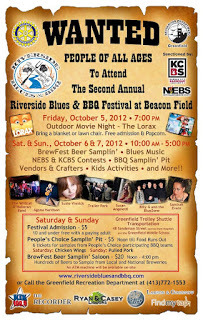 Riverside Blues and BBQ Festival is happening October 6 & 7. Fabulous food, music, beer sampling, vendors, kids activities and so much more! 10:00 to 5:00 both Saturday and Sunday. Last year's inaugural event was a huge success, with 18 professional BBQ competitors from all over New England, and approximately 2000 spectators. This year they expanded to a multi-day festival to feature a New England Barbecue Society Grilling Contest, Kansas City Barbeque Society Contest (Official State Championship). 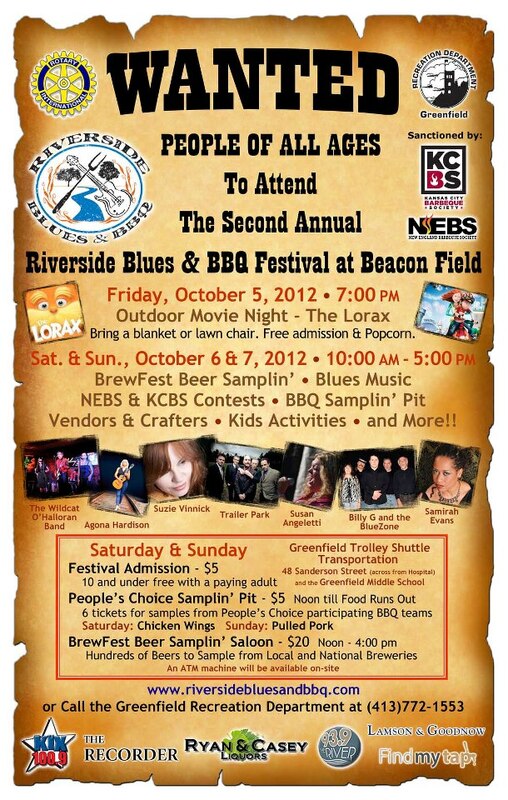 Looking for something fun to do this weekend, come out to the Blues and BBQ Festival. The weather looks good, so make plans now with your family and friends.